We invite anyone who has been injured in an accident to reach out and schedule a free consultation and case evaluation. Personal injuries can cause a significant amount of stress, both emotionally and financially. That’s why we won’t charge you a dime unless we win your case. After watching his grandfather fight his entire life for property the government was trying to seize, attorney Jason Marker discovered his own love for sticking up for people in unfair situations. With honesty and integrity at the core, Jason aims to provide top-tier legal service for his clients. Since he was a child, attorney Jonathan P. Crannell knew he would grow up to be an attorney. Coupled with an interest in medicine and the human body, Jonathan developed a passion for helping injured victims sift through their frustration and move towards hope. Whether you’ve been injured recently and are still recovering in the hospital, or you’re recovering at home and have a difficult time leaving the house — we’re happy to come to wherever you are. 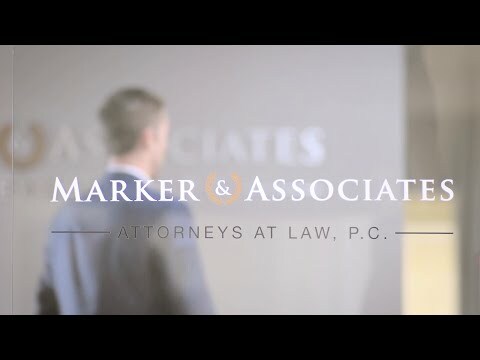 We are happy to meet with clients to discuss their case and any questions at our office which is conveniently located in the southern part of Naperville where parking and traffic are a breeze. We’re proud to serve the people of Naperville and its surrounding areas. That includes the cities of Bolingbrook, Plainfield, Joliet, Wheaton, Darien, Woodridge, Aurora, Lisle, Romeoville, and more. Plaintiff was rear-ended and suffered injuries to his low back that required a disc replacement. A worker was seriously injured when a wood beam fell on his head at a construction site. Plaintiff fell down a dimly lit flight of stairs resulting in a sprained ankle, blood clot, and pulmonary embolism. Experiencing an injury is already devastating in and of itself. Whether it's a bruise, burn, or broken bone, your entire life can seem to be flipped upside down. Matters are made even worse when the injury was caused due to the negligence of someone else. In these circumstances, you deserve to be compensated fully and fairly. At Marker & Crannell, we help people just like you collect the financial payments they are entitled to receive. Our attorneys are passionate, experienced, and capable of representing you with gentleness and compassion. We know the fight isn't easy — and often it's tiring. Considering all you've been through, the last thing you need is another layer of stress to your life. Studies have proven time and time again that mental and emotional strain can cause physical suffering, as well. It goes without saying that unwarranted financial hardship can bring on extra stress that you could very well do without. That's why your consultations are always free and you'll never have to pay anything up front. In fact, you won't be expected to pay a single penny unless we win. Our firm handles a wide range of personal injury cases, so don't hesitate to schedule a consultation.